Posted on January 31, 2019 at 8:16 am. Gambling losses in Victoria seem not to be reducing anytime soon as Bendigo has joined the list of the state’s highest-losing cities. The latest figures show electronic gaming machines are swallowing more and more money from punters across central Victoria. For the Greater Bendigo region, that number rose by $1.8 million to $50 million in 2018. The director of the Alliance for Gambling Reform, Tim Costello, pointed out that Victoria recorded its highest annual increase in losses for more than a decade last year. Mr Costello claimed the government’s decision to issue new 20-year pokies licences had contributed to the rise in losses. 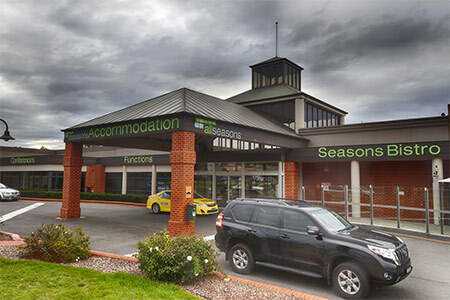 “It was the biggest Bendigo venue, the All Seasons International Hotel, which was responsible for the largest jump as it increased pokies losses from $10.45m in 2017 to $11.26 million in 2018, a gain of eight percent,” he said. The non-metropolitan venues that witnessed the highest losses include Zagame’s Ballarat Hotel, the Mildura Gateway Tavern and Geelong’s Grovedale Hotel, with All Seasons placing fourth. Speaking on efforts by the state to curb gambling losses, the minister in charge of gaming regulation, Marlene Kairouz, said the government had initiated some reforms to deal with the issue. “We know how insidious problem gambling can be, that’s why we’re helping those who choose to gamble stick to their limits,” she said. Ms Kairous added that the government had frozen pokies numbers, reduced daily cash withdrawals and capped the number of pokies in locations vulnerable to gambling harm. Figures from the Victorian Commission for Gambling and Liquor Regulation (VCGLR) shows that Bendigo District RSL and the Bendigo Stadium where among the top three local venues for the last six months. Punters in Bendigo lost a total of $26,271,618 at 11 venues in the last six months of 2018.